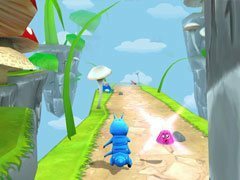 Join the turbo bug's survival run NOW! Tired of smashing ants, squishing beetles and destroying bugs? 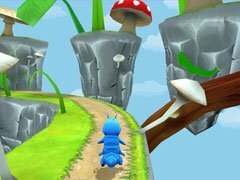 Try to change the perspective and save a turbo bug’s life with this fast-paced 3D running game, perfect for kids of all ages. 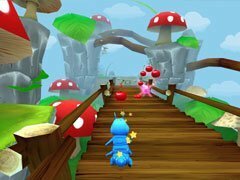 Join the survival race and prove that your bug can sprint fast enough and gain sufficient speed to smash the competition!Sprint through the forest’s twisty paths and narrow bridges as fast as you can, while nimbly dodging tricky obstacles that are trying to slow down your dash to safety. Experience a day of a turbo bug’s life and join the Survival Run NOW!